At a much lower cost than you might think ! Not sure what office plant displays you want ? Looking for office plants ? 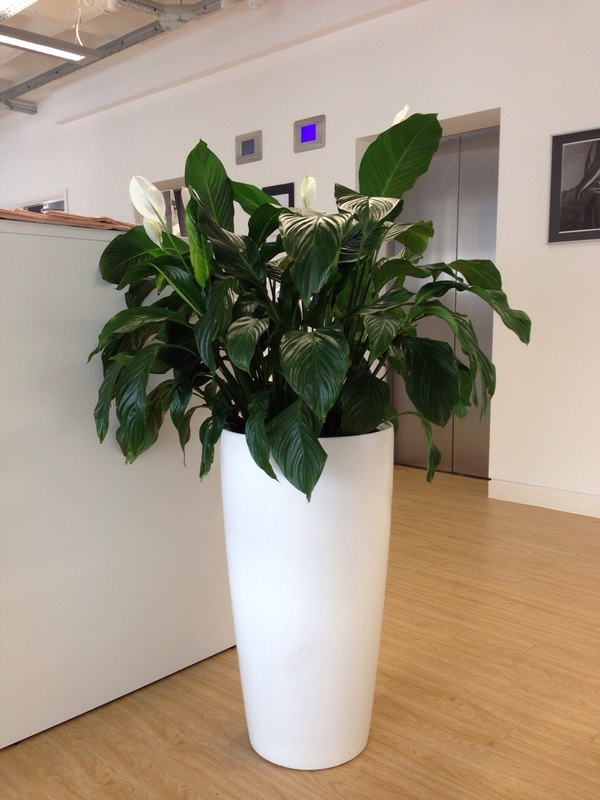 We have a huge selection of office plant displays available to choose from to suit all budgets. Need help ? Then we are here to listen to your ideas and come up with a design brief based on your own requirements. 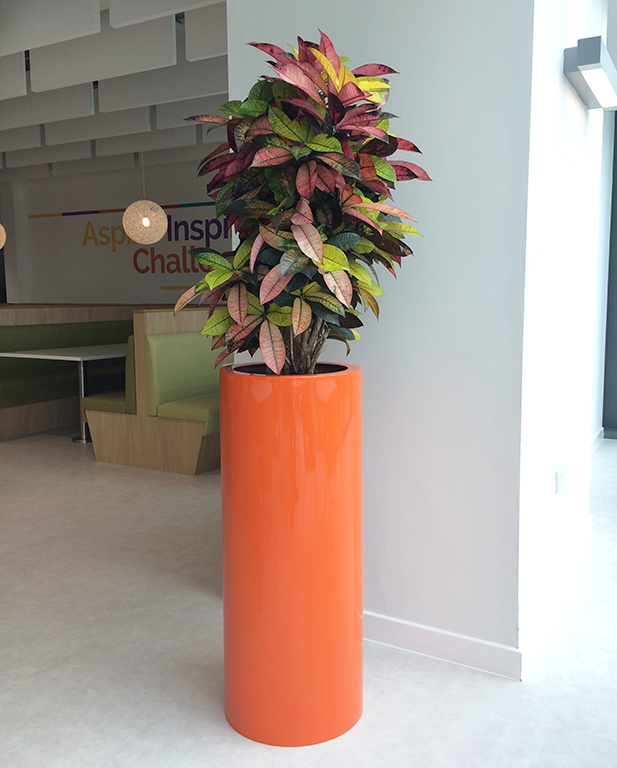 We will deliver and install your office plant displays with as little disruption as possible. Leave the worry of looking after your plants to us. Our maintenance service includes cleaning of the planter and plant, ensuring the plant is correctly watered and removing any dead or unsightly foliage. If any plant has deteriorated or is overgrown then it will be replaced. We aim to resolve any calls with 24 hrs. We have offices in Manchester, Liverpool and Stockport - our rental and maintenance service is available in Manchester city centre, Greater Manchester, Liverpool, Merseyside, Cheshire, North Wales and the north west in general. Why spend a fortune on reception desk flowers when you could rent an artifical desktop orchid display for £2.00 plus VAT weekly ? The orchids are available in 3 colours, white , pink and dark purple. The bowl is available in either black or white. Please call us or send an email to info@greenplants.co.uk for more information. We sell realistic, natural looking, cost effective, low maintenance, 3D artificial green wall plant panels for environments not suitable for live plant walls. All our artificial wall mats are sold in 1 x m2 panels and can be clipped together to cover larger areas and cut to any shape - ideal for any wall size or shape curved or straight. All panels can be reused, revised and resized, this makes them great for temporary installations and backdrops, ideal for exhibition stands, corporate events as well as weddings and other private events. They also make an ideal backdrop for corporate logos and lettering. Our client transformed a dark space with a stunning, maintenance free 22 m2 artificial green wall. Our live green walls are a sustainable ‘living wall’ for both, indoors and outdoors. Our modular live green wall systems can be used as individual picture panels or complete wall coverage. Our green walls are designed to add impact where needed but space and budget are limited. If you want to have green plants in your office but don't have the floor space then green wall is an ideal solution. 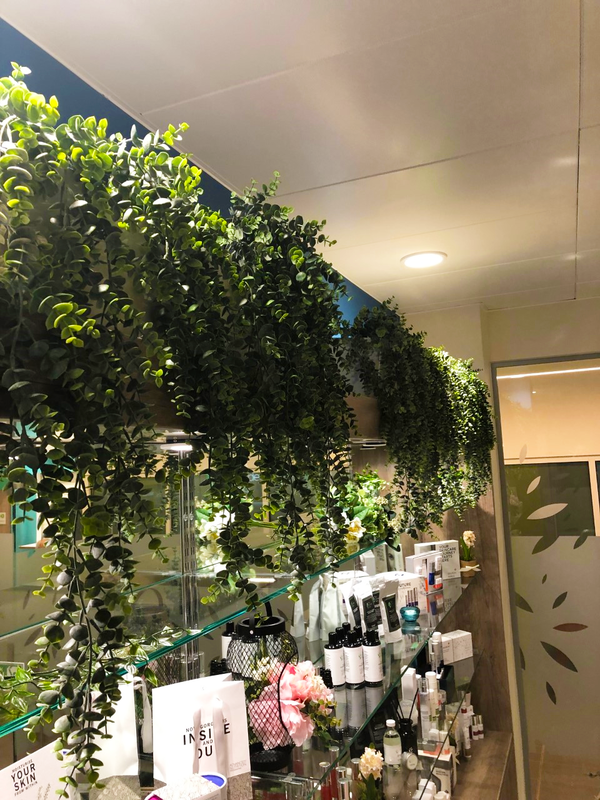 Our green walls are supplied with an irrigation system that makes it very simple to look after yourself. The plants are chosen with easy maintenance in mind. Our interior preserved 100% natural moss panels are available in many different sizes, colours, textures and shapes, we can use preserved bun or reindeer moss or any combination, with moss or acrylic logos, with or without frames. The moss is preserved, it is no longer growing but retains the soft, natural, tactile qualities of live moss. It is non-flammable and no water is required, very little maintenance is necessary, only light occasional dusting. Why not contact us with your requirements ? Our office plant rental and maintenance services covers the North West - Greater Manchester, Lancashire, Derbyshire, Cheshire and North Wales including Manchester city centre, Liverpool, Stockport, Chester, Wrexham, Warrington, Salford, Trafford Park, Salford Quay, Media City and Birkenhead. We also cover the Midlands including Cannock, Wolverhampton and Birmingham. We also sell and deliver our office plant displays and green walls nationwide mainland UK.